SolarCity's stock has nearly quadrupled since the company went public in December. Investors can't seem to get enough of companies that harness the sun's power. Shares of SolarCity (SCTY) soared to an all-time high of $31.89 on Monday. The company has only been public for five months and shares have nearly quadrupled from their $8 IPO price back in December. SolarCity, which installs solar panels, is still among the smaller players but it does have Elon Musk as its chairman. Most people associate Musk with electric car maker Tesla (TSLA), which has also been on a tear. Solar companies have struggled in recent years in the face of rising competition from cheaper solar panels manufactured in China. SolarCity will issue its second quarterly report as a public company after the market closes Monday. Analysts expect SolarCity to report a loss of 26 cents a share on $29 million of revenue. Investors are already looking beyond the quarter to see what SolarCity, and other solar firms, plan to do next. Most recently, SolarCity completed two projects in Sacramento and announced plans to install solar panels on up to 6,500 homes in Marine and Navy bases in Hawaii. 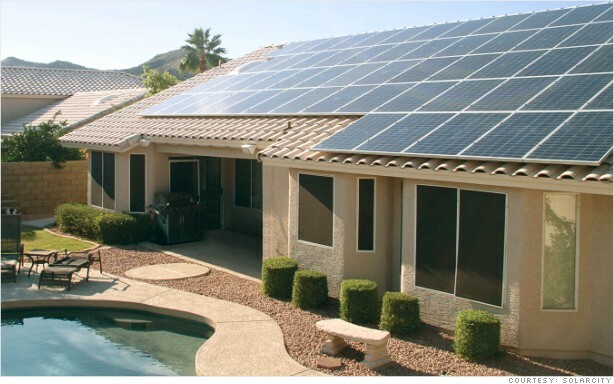 Shares of other solar firms were energized by SolarCity Monday. Shares of First Solar (FSLR), SunPower Corp. (SPWR), LDK Solar (LDK) and ReneSola (SOL) were on the rise. StockTwits traders had plenty to say about solar. $SCTY i warned shorts on saturday...did they listen..no..
Ahhh yes. Who could forget about the shorts. Fandango, you might have a point here. It will be interesting to see what happens after the bell. Everyone's a critic. Though I can't completely disagree. The forecast for SolarCity is for a loss, and yes, while Tesla is on fire for now, will the Model S be enough to keep that momentum going? The "Elon Musk" ETF making new all-time highs again. Keep in mind that $SCTY reports after the close today. Between shorts and Musk, some traders are opting out of the rally...for now. $TSLA $SCTY If Solar City misses or meets expectations we should see a pullback in both stocks on Tuesday. Looking for reentry then.